What would it be like to wake up to beauty and adventure each morning? The Vanabode lifestyle allows you to live the Freedom life, by combining low stress travel, with continual adventure while living cheaply. How tired are you of getting up each morning for mind-numbing work in a sterile environment, where you deal with egos and manipulators all day? What would it be like, living in a van, waking up to Nature's natural beauty, and having the entire rest of the day to explore, read, and nap? My best friend from college, Sherm Davey, has been doing this for the past three years. He sold his home and all of his belongings, banked the profit, used only $6,000 of it to buy a cherry used conversion van...and saves over $2000 each and every month that used to go to mortgage, taxes, home owners insurance, cable TV, etc. Now, he's seen beautiful parts of the United States that few ever have, made friends in hundreds of campgrounds and small towns, become more lean, fit, and healthy...and even runs a little online business from his MacBook Pro laptop. He calls it, "Living the Vanabode life." Sherm pulled into Treasure Island Beach, last week. 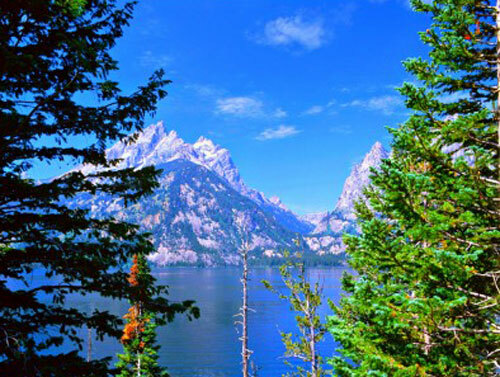 He'd spent the summer months camping in various national parks and national forests, out West. As usual, he couldn't wait to tell me about all of his adventures "going down the road" and about all of the unique things he'd seen. "I am truly thankful I am retired and can live this kind of life," Sherm said. 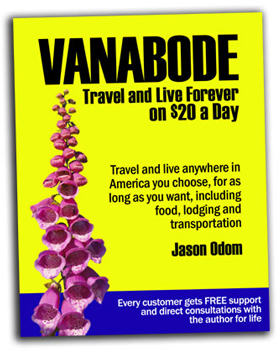 "To think it all started when I bought an eBook (Vanabode - Travel And Live Forever On $20 A Day) by a guy named Jason Odom, that looked kinda interesting." "What a life-changer that little download turned out to be." 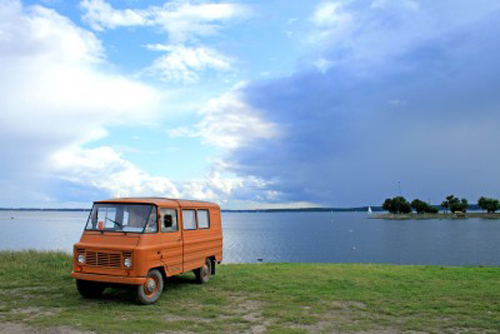 ** It is NOT just men who find living in a van appealing. Many women are also finding their way to the Vanabode lifestyle. "The nice thing about Vanabode travel is that you usually have a destination in mind, but then you see something so incredibly beautiful that you just have to stop and experience it...for a week or so," Sherm said. "It was like that when I came through Sedona AZ in late spring, when it was just starting to push about 75 degrees during the day." 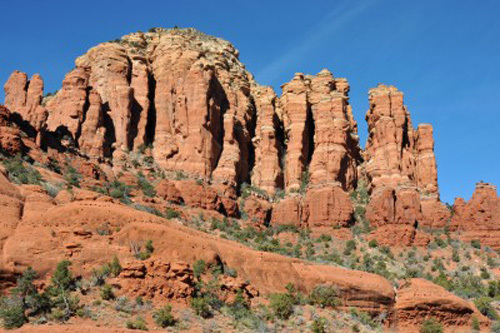 "Those red rock formations take your breath away. I took a lot of pictures for my blog. Staying at the campground along Oak Creek was like being in Paradise. I was there about ten days." "Since Sedona is only about 4500 ft elevation, I knew it would start getting hot in June, so I pushed on to Flagstaff (30 miles up the road) and then on into Grand Teton National Park (WY)." "The Vanabode lifestyle is so laid back and stress free, you almost have to pinch yourself at breakfast, each morning. I figure God is the only other person who wakes up to as many beautiful sunrises as I do," Sherm said. "I'm thankful, also, that not only can I see all of these beautiful places, but that I can also make a little money on my travel blog. Plus, I get to legally write-off a huge amount of the day-to-day expenses I generate. 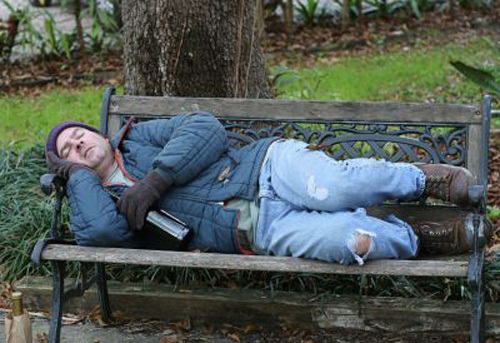 Sherm considers staying clean, looking clean-cut, and dressing in decent clothes his Number One priority of living the Vanabode lifestyle...running just barely ahead of treating each person you meet with kindness and respect, and obeying all park rules and city ordinances. "Look, I know treating people decently and in an uplifting manner trumps being clean, on a spiritual level, but you only get one shot to make a first impression," Sherm said. "The biggest perception you have to fight when living out of your van is that you are a traveler, NOT some bum who is dodging bill collectors and looking to rip-off whatever in town that is not nailed down." The guys who travel in those $150,000 RV's, that are the size of the Space Shuttle, put themselves at the front of the line...followed by guys who pull 5th wheelers...and guys who have a nice camper in the bed of their pickup truck." "Those of us who live in a van or unfold a tent are seen as suspect." "This is why I make sure I shower every day. Sometimes, twice a day. I ALWAYS shave and I get a haircut every three weeks. I make sure I find campgrounds with showers, or I use my gym membership." "I purchased three white polo shirts, and two navy blue ones from LL Bean, and I always wear them when I go into town." "I do everything I can to put myself in the best possible light. It sure helps when you are talking to park rangers, law enforcement officers, and store management. You do not need people in authority positions to be judging you negatively." The Vanabode lifestyle does not mean you blow-off personal hygiene and cleanliness. In a sense, you become much more aware of how to present yourself. "I will tell you one thing," said Sherm, "I really have to work at getting used to showering in cold water because these outdoor ones have no hot water heater...and I like to stay in temperate places...not real hot localities." Sherm makes it a point to do some kind of workout each day. 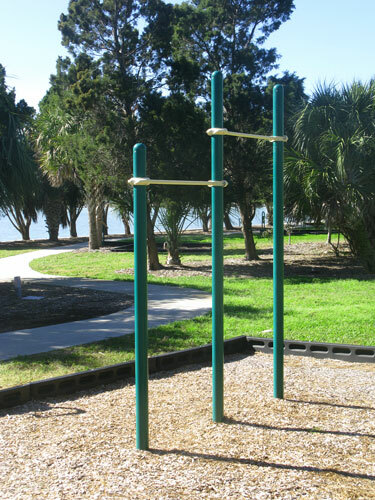 He sticks to exercises like pull-ups, push-ups, dips, air squats, burpees, squat jumps, and running. "I like to go hard outdoors," said Sherm. 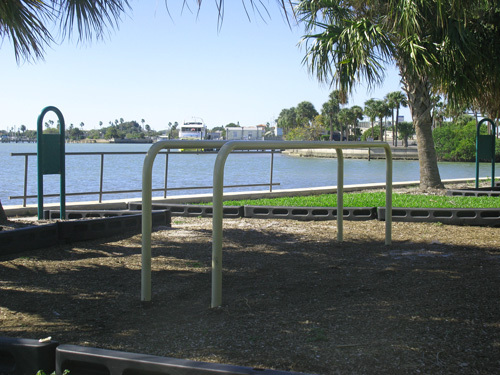 "Most parks have some kind of pull-up bar, and something like a bench or stump to elevate your feet for push-ups. Dip bars are a little more harder to find, though." "I follow kind of a scaled-down CrossFit program, but without the Olympic lifts. I use burst-training/interval workouts, and they take about 20 minutes...but are real intense." "A lot of times I use Craig Ballantyne's Turbulence Training protocol. It is organized like a CrossFit workout." Diet is extremely important when enjoying the Vanabode lifestyle. Just like me, Sherm follows a Paleo diet that focuses on natural foods, eggs, nuts and meat. I need to tell you that although Sherm is 62, he looks like a 40-year old bodybuilder. In the three years he's been on the road, he has lost from 192 lbs (at 5'9" tall) down to 170 lbs., yet he is so ripped, he looks like he still weighs close to 200. "I follow the eating plan in The Dark Side Of Fat Loss," said Sherm, "It makes the most sense. Once you get simple carbs/sugar foods and starchy processed foods completely out of your diet...you blowtorch fat off your body." Sherm's waist went from about 35-1/2 inches, to 31 inches...and his body fat is just under 9%. The Vanabode lifestyle is laid-back and relaxing, but that doesn't mean you become slothful and lazy. The Vanabode lifestyle gives you plenty of time to read or visit historical sites. Keep your mind active and learn something new each and every day. "I make it a point to visit the local library whenever I stop in a town. 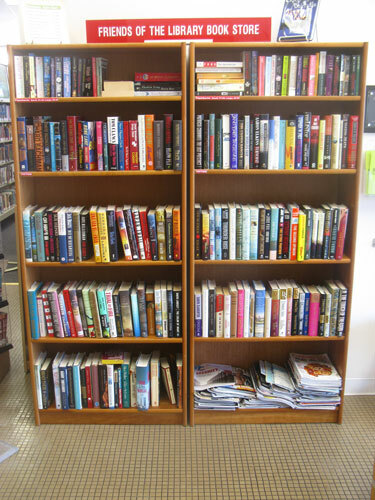 Most of them sell used books for under a dollar, and they also have the local newspaper available. I've attended a lot of cool community events just by reading a small-town newspaper." "I also go to Dollar Stores and buy a crossword puzzle book or Sudoku book. Spending time each day keeps your mind alert." 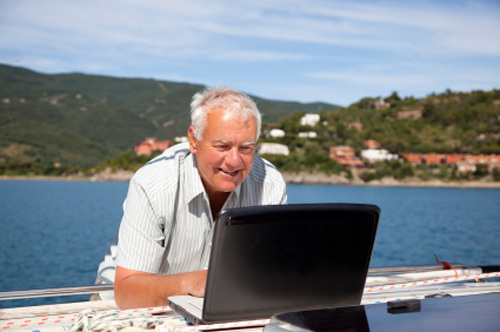 "Finally, working on my Internet business increases my processing. I started out with a simple $15 dollar course called "Internet Billion Dollars" and it taught me the basics I needed." 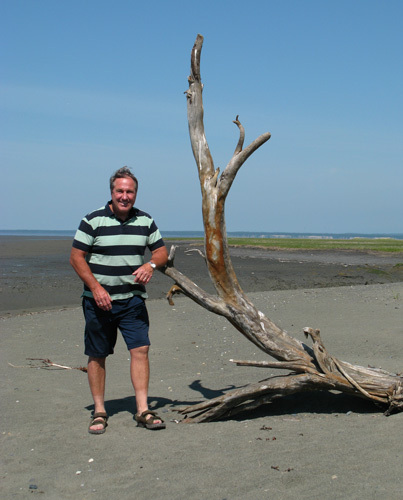 "Recently, I purchased Blogging John Chows, and that accelerated my profits. It didn't happen automatically, and I only make $1200 - $1500 dollars each month, but that is huge for a guy living as frugally as me." "The Vanabode lifestyle provided me with all the time in the world to learn an online business...and remember, I used to be a PE teacher." Vanabode living gives you plenty of time to learn more about the world we live in. There is nothing like working out in Nature's clean air, then settling down with a good book, or going online to learn whatever you need to. "Our time is precious," say Sherm. "Think of all the time people lose in jobs they hate, relationships that don't work, and dealing with health issues." "To me, you get a new lease on adventure and personal growth when you follow the Vanabode lifestyle."